I HAVE BEEN listening to music in Hawaii for almost 50 years -- all the way from Don Ho at Honey's in Kaneohe and the Sons of Hawaii at the Sandbox to this year's Grammys. From this experience -- and looking forward -- I have four thoughts. » Music runs very deep in Hawaii. It comes out of the land itself. It is in the air that everybody breathes. » There has always been an enormous amount of raw musical talent here. » Local musical talent -- like all others kinds of local talent -- rarely reaches its full potential. This is a perpetual issue in Hawaii. It is a shame, a human and cultural waste. And it is a missed opportunity for Hawaii's long-term economy, which needs all the help it can get. Hawaii these days is part of the big world. And right now there is a great opportunity to leverage the business and profession of music here into a real growth industry, with strong local roots but also able to flourish in the big world. The signs are everywhere. Here are a few. Music from Hawaii has more presence in the big world than ever before. 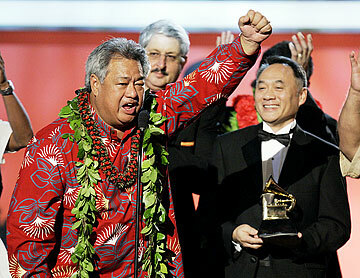 » The Hawaiian Grammy is in its third year. » Jake Shimabukuro, a Kaimuki kid, is taking the ukulele to places it has never been, from the mainland to Japan. » The first CD from Hawaii has gone platinum, Braddah Iz singing "Somewhere Over The Rainbow" -- a local artist singing a classic Hollywood song from the 1930s, which is being heard all around the 21st-century world. THE BIG POINT: 21st-century music technology is global. Digital music, Web based and downloadable, means that a song from anywhere can go anywhere. Which means there is no limit to where music from Hawaii can go. The key connector between local raw talent and the big world of music is an innovative program ready to go at Honolulu Community College. It is called MELE -- Music Enterprise Learning Experience. MELE is designed to foster and prepare local music talent for the 21st-century business and profession of music by teaching real-world knowledge and skills -- everything, across the board, from songwriting to record production to contracts and intellectual property to career management. Combined, these are the essential disciplines and crafts need to turn music here into a flourishing growth industry with greatly enhanced creative power and market presence, to the maximum benefit of the community, humanly, culturally and economically. MELE is an idea whose time has come. From a standing start, in just over 12 months MELE has secured a five-year federal Education Department startup grant. MELE is in the process of developing a working partnership with the premier music business program in the country, at Belmont University in Nashville. Nashville is "Music City," and for MELE, Belmont is Harvard. 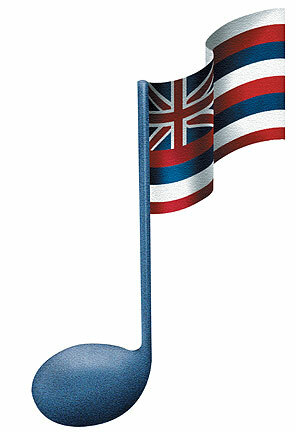 The partnership includes shared curriculum, staff development and transferable credit, so that MELE students can go on after their two years at Honolulu Community College to complete a bachelor's degree -- with hands-on experience in Belmont's nationwide music business network. The partnership is an invaluable strategic asset. MELE has strong local community support, and an advisory council is being formed to make sure that all this invaluable national input is put to best use for local benefit. MELE is on track to offer first courses at Honolulu Community College in the fall of this year. In five years, the product of MELE can be a significant presence in the music business. The Legislature is currently weighing funding for MELE. The time to support it is right now. Gavan Daws is the author of "Shoal of Time," "Land and Power in Hawaii" and "Follow the Music."